Ever since Christmas day, our household has been sick. Yup, it’s been almost a month of sneezing, coughing, sleepless nights, and all-around grossness. Add into that our new golden puppy, and we have been a family full of awesomeness in 2016. Joy. At some point, the illnesses have to go away, right? Well, thankfully for us all, it seems that we have turned a corner. And that was no small feat! 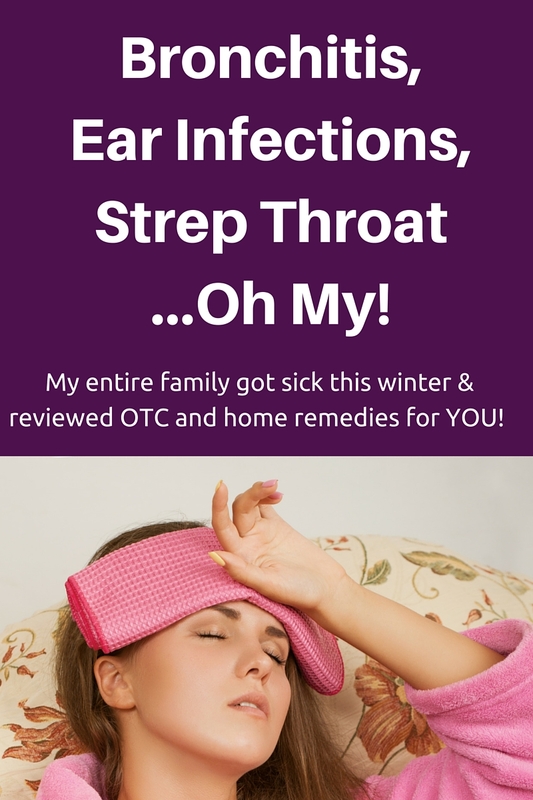 With two sinus infections, three ear infections, two cases of bronchitis, one upper respiratory infection and a case of strep throat, our house has been chock full of OTC and home-made remedies. Since many of you might be going through at least one of these ailments, I thought I could give you a rundown of what worked for us and what didn’t. NOTE: We ALL ended up going on an antibiotic. This article is not about curing your ailments, it is about letting you know what worked for us in combating the nasty symptoms of these ailments. For ALL Ailments Cough Related, Mucinex helped us the most, although we didn’t try Mucinex, until we had exhausted all the herbal and home-made routes that we could think of… However, this should have been our first stop. OK, here are some of the other things that my husband and I tried to get some relief. During the worst of our symptoms, a friend of mine told me that she had used Tei Fu lotion when her symptoms appeared and that they went away quickly. I had used Tei Fu lotion on my painful knees when I was pregnant, so I had a bottle at home. Again, I was desperate, so I tried it. I applied a drop to my temples and some on the back of my neck. And guess what? 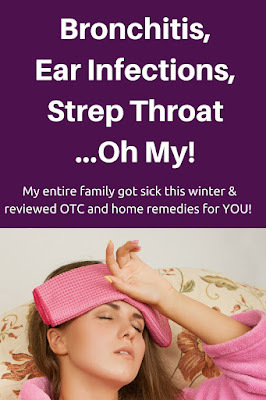 I did get some relief, so I had my husband try it and he said it eased his symptoms too. Was this a total elimination of symptoms? NO! However, it did provide some relief, so we could get some sleep. I definitely recommend your getting a bottle of this stuff for your cabinet. ANYWAY, during our disease-fest, I diffused a combination of eucalyptus, lavender, rosemary, peppermint, tea tree, and lemon. Did it have any impact on our symptoms? I think so, I felt better when the diffuser was on, than how I did when it wasn’t. It felt proactive to me, like I was putting something other than just germs in the air. My husband and kids all request the diffuser to be put on when I forget to do it, so on some level its impacting all of us. Also, I let the little ones fill it up and make their own “formulas,” which they like to do. For that wretched cough, for use only right at bedtime, the doctor suggested Dr. Cocoa. And you know what? Best. Child’s. Cough. Syrup. EVER! It tastes just like chocolate syrup; I know, I tried it. (Do you taste your kid’s medicines too?) There was no fussing, and the boys both sleep soundly through the night! Make sure this stuff is in your medicine cabinet. That’s it, folks! I hope that our treacherous month of grossness helps your family get through any number of ailments over the coming months. Of course, please go see a professional if you have any inkling that you (or your loved ones) might need an antibiotic. Good luck and feel better!